As well as having internal consultants, we also have a growing network of contractors and freelance consultants that we take on for specific projects. We have very high standards and expectations, but if you're a leading expert in your field then we'd like to hear from you. When new projects come along, we strive to find the best possible people to work on the project, so even if we don't have suitable work now we'll keep you on our records and will get in touch if we can use your skills and experience. We regularly get staffing requests (contract and permanent) from clients, so if we have your CV then we can pass on your details - following an assessment from a Purple Frog consultant. 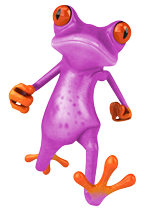 Purple Frog are looking for a Senior C# .Net Developer to design and build a new greenfield application. Purple Frog is a globally recognised and growing Business Intelligence consultancy, with projects across the World with many high profile clients. We provide consultancy, design/development services and support for Business Intelligence projects based around the latest Microsoft SQL Server and Azure stack. This exciting role would appeal to anyone wanting to demonstrate their .Net skills and be responsible for the design and implementation of a new product to interact with the latest Microsoft cloud technology. Purple Frog are looking to take on a Power BI Senior Developer or Consultant to work with clients to design and implement Microsoft Power BI projects. We're looking for someone with very good Power BI skills, and we'll train you up further! To keep up with customer demand we're expanding the team with a dedicated Power BI expert to lead our Power BI development projects. This will be based in our Telford offices but will also involve travelling to customers to run design and development sessions with them. This role provides an unparalleled opportunity to push your Power BI skills to the limit and continually expand them further. You would also gain exposure to Tabular model Analysis Services cubes as well as experience with other aspects of the Microsoft Azure BI suite. One of Purple Frog's leading retail clients are looking to recruit a Business Intelligence Team Lead. We are looking for a senior BI developer to lead the technical delivery of BI projects within our existing BI team. Reporting to the IT Manager you will be responsible for ensuring the resource at your disposal is utilised in the best way to realise the benefits required by the business. You will be responsible for improving business intelligence and management information reporting, providing solutions which give the business accurate and invaluable insights into trading and key performance measures, working predominantly with the Microsoft SQL Stack, utilising your knowledge of Reporting Services (SSRS), T-SQL, data warehousing, ETL, SSIS and SSAS and XLCubed. You will take responsibility for the technical delivery of projects assigned to the team and will be instrumental in defining a forwards looking BI strategy. Being a multi-channel retailer, our projects range across areas such as point of sale, warehousing operations, CRM, marketing and e-commerce. Whilst you may specialise in one area you will no doubt contribute to others over time. We kindly request that agencies do not contact us regarding vacancies posted here. Thank you.